Known for their legendary racing achievements, KTM is Europe’s second largest motorcycle manufacturer and dominates the off-road segment across the world. 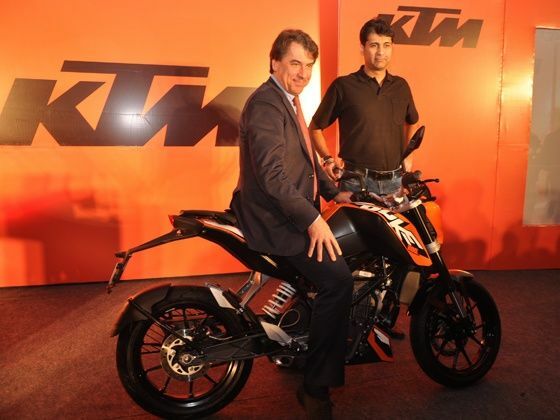 The first offering from the KTM stable in India, the Duke 200 would be retailed through 34 dedicated KTM stores in India along with KTM’s famous range of Accessories and Merchandise called KTM PowerWear and KTM PowerParts. The 200 Duke will be powered by a single cylinder, 200cc, liquid cooled, DOHC, four valve engine which will pump out a peak power of 25bhp and a maximum torque of 19 Nm. KTM’s the 200 Duke has the best–in-class power to weight ratio of 184 Ps/ton thanks to high strength- low weight components of the highest quality. It features first in class features such as a Trellis Frame, Upside Down forks by European specialists WP, an aluminium swing arm, a multifunction cockpit and many more. Packed with technology and features befitting motorcycles of far higher segments, the KTM 200 Duke has been launched at an extremely attractive introductory price of Rs.1,17,500 (ex-showroom, Delhi). 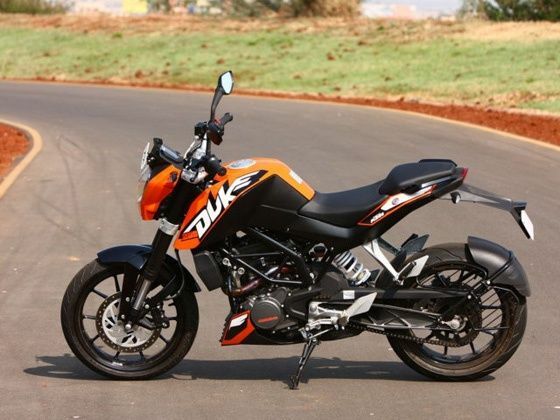 The KTM 200 Duke is meant for people who are young at heart and like to be different. klo ke sini jadi berapa nh ? disini korupsi pajak ala gayus jd ampir 50jt. kan negeri sulap.